What's The Cost Of Defending Liars? 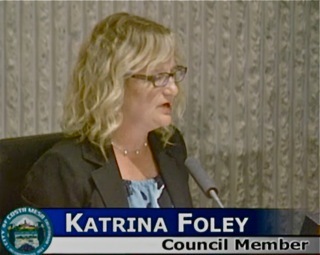 At the Costa Mesa City Council meeting last Tuesday night Councilwoman Katrina Foley made a very appropriate request. She wants to know how much of our taxpayer dollars were spent defending Mayor Pro Tem Jim Righeimer and the other four signatories on the bogus ballot rebuttal argument, parts of which were found by a judge to be false and/or misleading? I kinda want to know, too... don't you? And, equally as important, how do we trust ANYTHING uttered by Righeimer henceforth? Better late than never, right? In what is certainly the biggest story in our little slice of the world in many moons, the California Coastal Commission overwhelmingly denied the ddevelopment plans for the Banning Ranch oil field in West Newport Beach at the end of many hours - some reports say 8 hours, others say 13 - of discussion and testimony late last night. The vote was 9-1! I confess that I was not watching the live stream of the event, although several friends did text me with highlights and I did see a few images and videos via Facebook throughout the day. But, that's OK, because there were plenty of very smart folks onsite, poised to report the results of the event. When I head the news - just before 11:00 p.m. last night - I immediately began checking media for reports. First up was Hannah Fry's excellent coverage, just before 11:00, HERE. I also checked the Orange County Register and found Lauren Williams' report, HERE, that was timestamped just after 6:00 p.m., so it had been modified for the final result without changing the timestamp. Win to the Daily Pilot. There is also a Los Angeles Times story, HERE. Television was all over the story. Channels 2/9 had the story at 11:03. KABC had it a couple minutes later. Nobody yet knows what the future holds for that chunk of land. Murmurs of lawsuits, or re-filing in 6 months, float around the ether. I guess we'll see. The fact remains that, for those activists at the Banning Ranch Conservancy and many others who have battled tirelessly for years trying to save that piece of coastline from development won a huge victory last night. And it wasn't just a squeaker, either. Kudos to all those folks who have worked on this issue over the years, and to those who attended this final meeting on this issue yesterday. Rumors of "cheating" - a Newport Beach official, or former official, may have permitted early admittance to the auditorium so prime seats could be occupied by imported "supporters" of the project - floated around. It apparently didn't make any difference. 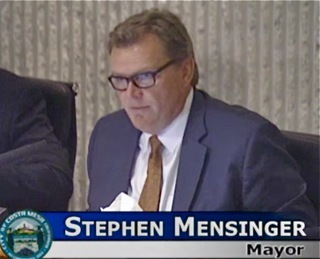 An interesting sidebar - Mayor Steve Mensinger and Mayor Pro Tem Jim Righeimer apparently had filled in speaker cards but failed to present themselves when the time came. I'm not sure what to make of that - maybe they actually can read public opinion and chose not to oppose it in this case. In a bit of ironic timing, the first issue of Stu News Newport - the latest venture for former Daily Pilot publisher Tom Johnson - came out today and there was a featured interview with a Mike Mohler, Senior Project Manager of the Banning Ranch development. This was the same fellow Tom had on his radio show last Sunday. Oops! Regardless, this is a huge victory for those who would preserve open space for future generations. 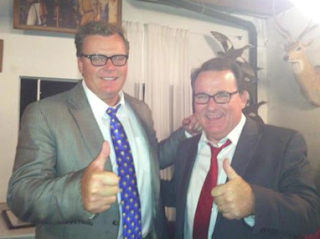 And, this may actually be the beginning of a broader movement that will influence the upcoming election in Costa Mesa. The Costa Mesa Bikeway and Walkability Committee meets again this evening, Wednesday, September 7, 2016 beginning at 6:30 p.m. at the Costa Mesa Senior Center, 695 West 19th Street. You can read the agenda for that meeting HERE. I do not expect to attend the meeting lest I infect the committee and the Senior Center with my cold. So, if you want to know what's going on with this group you're going to have to attend yourself. Sorry about that. Next time. 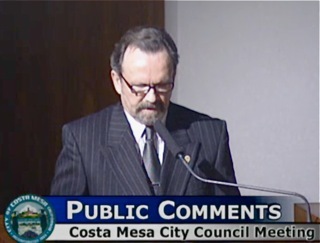 The Costa Mesa City Council, which has been on walkabout for nearly a month, dispatched the agenda at its meeting Tuesday night in near-record time. 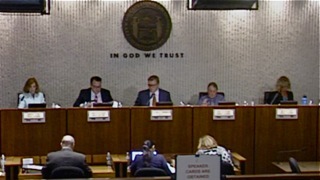 Even though they had special presentations and a gaggle of public commentors, the council finished its work at precisely 8:00 p.m., barely two hours of work. My question is, since the Warrant is supposed to represent checks already cut over the past several weeks, and when you add the legal fees and the amount paid to Horn on this entry it totals exactly $200,000, is THIS the entry of the settlement? If so, how did checks get cut before the council voted on the settlement? If not, is this an additional amount? This is very strange. 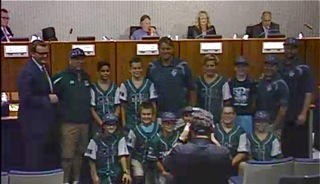 Mayor Steve Mensinger was in his element when he presented awards to both Costa Mesa Little League Teams. He's right - he should have been a coach, not a politician. 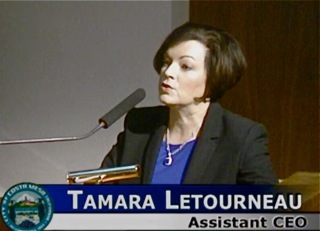 During Public Comments Several people stepped up to address issues important to them. Beth Refakes reminded us for the final time of the Gown collection drive for the women of the 1/5 Marines. She praised Jim Righeimer and Katrina Foley for their community meetings last week. She was also concerned about the delay in the renovation of Council Chambers and the status of the rebuilding of Fire Station #1. Greg Thunell raked the council over the coals for making bad decisions - I'm giving you the abbreviated version of his comments. 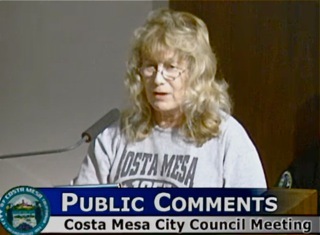 Linda Dean pleaded for relief for parking issues on Coolidge. 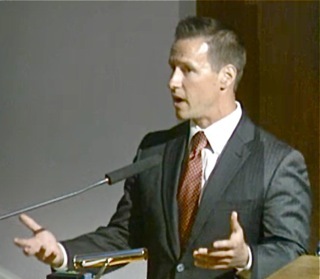 Alex Reich, a candidate for a seat on the Mesa Water District Board, briefly addressed the problems with Desal. Tamar Goldmann expressed concern for the loss of meeting space for many users when the Neighborhood Community Center is demolished and hoped it could be delayed. She cited specifically the Freedom Committee as one user that might have trouble finding space. She referred to a problem with the funding of the new NCC/Library complex. Kim Hendricks, peeved that she arrived one minute too late for her PowerPoint presentation to be used, suggested we all vote YES on Measure AA. Mary Spadoni praised resident and attorney Eleanor Egan for her victory over some very high-priced attorneys in her successful quest to get bogus rebuttal language removed from the ballot last week. 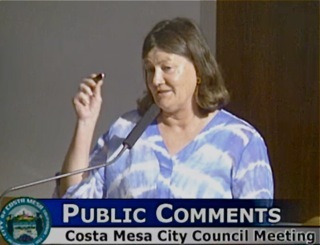 Cynthia McDonald also mentioned Egan's accomplishment and suggested we visit www.savecostamesa.com for more information. 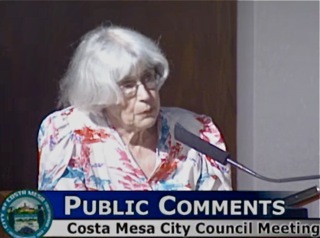 An unidentified woman compared Mensinger to a Reverse Robin Hood - taking from the residents and giving to the developers. 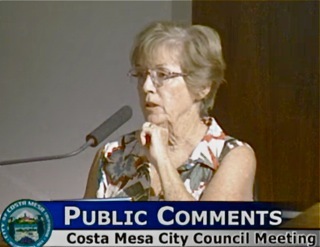 She referred to his slate as being referred to as "Team Costa Mesa", but suggested they should be referred to as the Developer's Dream Team (DDT), and made the comparison of the developer's activities in the city to that toxic substance. 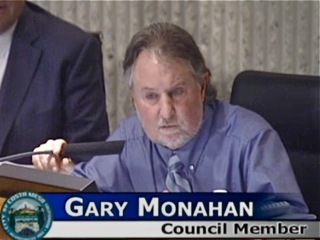 During Council Member Comments, Gary Monahan - as usual - had nothing to say. 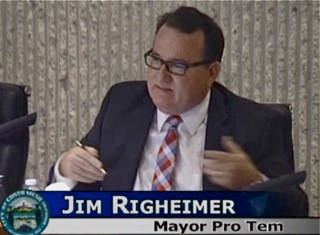 Mayor Pro Tem Jim Righeimer, fresh off his misinformation-spreading gambit in Newport Beach last Thursday morning, had remarkably little to say. Addressing the Coolidge parking issues, he suggested Permit Parking. He asked for clarification on the NCC/Library issue. Assistant CEO Tammy Letourneau said there is plenty of available space for the users of the NCC and that her staff is working with them to locate the right space for them. She also said there is NO PROBLEM with the funding - that everything is on schedule. Mensinger said he could help the Freedom Committee - I don't know if he meant he would house the meetings in his new palatial golf course estate, or what. He was unclear. Katrina Foley spoke about her meeting last week in which she and Sandy Genis spoke to members of the public in a range of issues, including Permit Parking. She said her next meeting will include discussions of the Skate Park, Sober Living Homes and the NCC/Library issue. She also told us about an apparent sober living resident who has been wandering in her Mesa Del Mar neighborhood and actually knocked on her door at midnight last week. She was arrested for break ins in the neighborhood. She also expressed concern for the misinformation that is being spread from the dais. 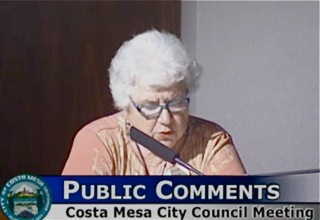 Genis also spoke of the Coolidge Street parking issue. 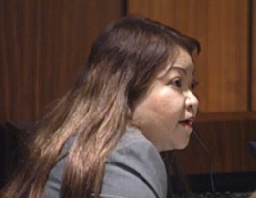 She also mentioned a group that has been formed, apparently by a Wilshire Blvd. law firm in Los Angeles called Costa Mesans Against The Power Grab, and thought it was curious that a remote law firm was involved. She expressed the opinion that if this group is concerned about residents actually wanting to take back control of their government, "maybe it's about time". To me, this smells like the stench of developer dollars trying to influence our election. During his segment CEO Tom Hatch said progress is being made on the mosquito issue in Fairview Park. He said Fire Station #1 rebuild is on schedule. An architect has been hired and a consultant is being selected to help with the planning of continuing service while the building is re-built. 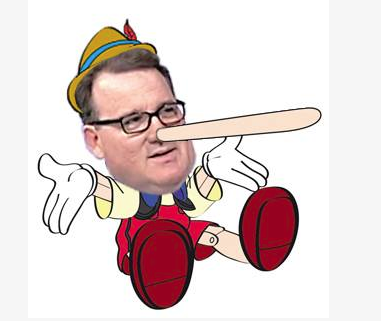 He said construction would begin in February or March. He didn't have an answer on the long-stalled Chambers renovation. He also expressed concern for the condition of our urban forest, indicating that we're losing many trees due to the drought and our conservation efforts. Two items were pulled from the Consent Calendar, #5 and #7, for later discussion. Because it was still well before the witching hour of 7:00 p.m. when Public Hearings are to begin the council jumped forward on the agenda to New Business #1 - the last item on the agenda. This is the selection of voting delegates at a convention in Long Beach in October. Mensinger will remain the primary voting delegate, with Righeimer and Genis as voting alternates, decided on a 5-0 vote. With time still to spare they tackled the Consent Calendar items. Foley stepped out of the room for #5, the artificial turf for the Jack Hammett Sports Complex because she lives within 500 feet of it. The remaining four made quick work of it because the person who pulled if for discussion had left. It passed on a 4-0 vote. Item #7, amendments to the Field Use and Allocation Policy (FUAP), got much more attention. Genis pulled this item for clarification about certain users and their status. 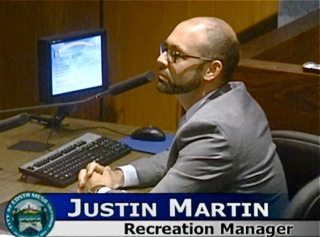 Recreation Manager Justin Martin - who Mensinger referred to as "Travis" during the discussion, confusing him with his predecessor, Travis Karlen, who has moved on to Irvine. The discussion revolved around giving "our" kids - Costa Mesa kids - priority on field use, and included some comments about enlisting Newport Beach to share some of their fields and to get clarification from the Newport-Mesa Unified School District on a recent change in THEIR field use policy that seemed to conflict with our Joint Use Agreement with them. Martin will handle that. Eventually they passed the issue, 5-0. 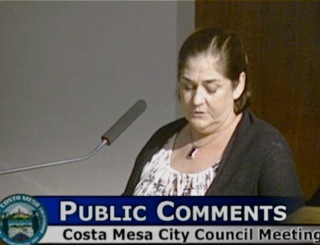 Public Hearing #1, the amendments to the North Costa Mesa Specific Plan, was presented by Minoo Ashabi. This issue just brings those areas into conformity with the recently-approved new 2015-2035 General Plan. 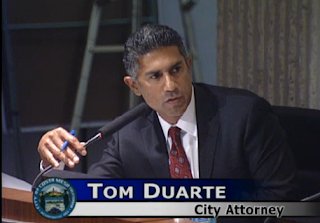 Public Hearing #2 was the 4th amendment of the Segerstrom Home Ranch Development Agreement. Justin McCusker, representing the Segerstroms, helped with some history on this issue. There were a couple timeline-related questions that he and staff will research, but the issue was passed on a 5-0 vote at precisely 8:00, after which Mensinger adjourned the meeting. If you refer to my previous entry - the preamble to this meeting, HERE - you will realize that the council just blitzed through the Consent Calendar and all those interesting, expensive issues. 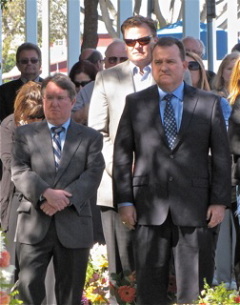 And, I'm told, that entry on the Warrant in which we theoretically cut a check for more than $26,000 to the City of Newport Beach was a typo - it should have actually been Huntington Beach. It's not clear to me whether the typo was on the report or the check. 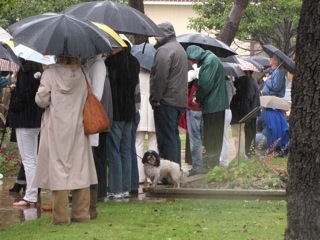 If it was on the check, our neighbors in Newport Beach will be having one big party! 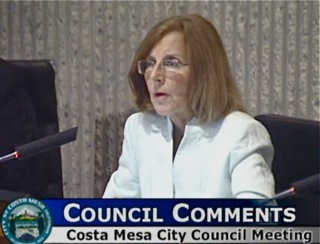 The Costa Mesa City Staff, apparently not eager to overwork the City Council after their nearly month-long hiatus, has prepared a very small agenda for their meeting Tuesday, September 6, 2016. The agenda for that meeting, which begins at 5:45 p.m. in City Council Chambers, may be viewed HERE. As is usually the case, the regular meeting will be preceded by a Closed Session commencing at 5:00 p.m. This one has three items on the agenda, the most interesting of which is the third item, which says: Threat To Public Services of Facilities. 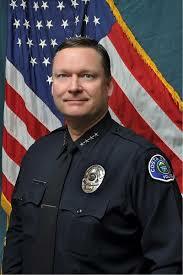 Security Briefing by Rob Sharpnack, Chief of Police. I don't ever recall this item having been on previous agendas, so perhaps when the regular session convenes someone will "report out" that information - or at least the reason for it. 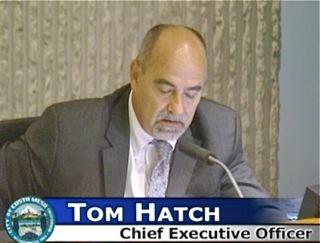 Following the Costa Mesa Minute, the Mayor's Award, Public Comments, Council Members' Reports, Comments and Suggestions and CEO Tom Hatch's Report, if any, comes the Consent Calendar. As has been the case over the past couple years, the Consent Calendar this time - items which are supposed to be "routine in nature" and would be considered with one vote - is packed with interesting stuff that you'll probably not hear about unless someone pulls them for separate discussion. If that happens those items will be trailed to the end of the meeting to meet the Mayor's intent to stifle discussion of issues. I won't comment on every item on the Consent Calendar, but I will give you my thoughts on a few of them. MORE THAN 8.6 MILLION BUCKS! Item #2, Warrant 2562, HERE, represents the expenditure of over $8.6 million of your tax dollars. Because this warrant is so huge, with so many entries, I'm not going to attempt to list items, but I will summarize some issues. You can go to that link and just scroll down through the payments and seek out pearls for yourself if you wish. Legal fees continue to spin the meter. This time around we paid nearly $420,000, most of which went to our contract City Attorney, Jones & Mayer - something just under $200,000. Consulting services and contract employees also continue to be a large part of our monthly expenditures. We're spending at least tens of thousands of dollars each month on consultants and contract employees filling holes in the organization due to unfilled vacancies. More on that later. We spent outsourcing companies more than $110,000.00 to have our Jail staffed and our streets swept. We wrote a check to Travel Costa Mesa for $213,369.36 which represented the VIA Receipts for June, 2016. We also paid Johnson Favaro LLP $170,748.00 for their consultative support on the new Library/Community Center project. On the other hand, we spent only about half as much as usual to Enterprise Rental Cars for Undercover Police cars. I guess we don't have enough cops to go undercover these days, so we're saving a few bucks on that line item. Helicopter Services from NEWPORT BEACH? I did notice a funny entry. Apparently we cut a check to the City of Newport Beach for helicopter services for June, 2016, in the amount of $26,385.50. That's interesting, since I didn't know Newport Beach had any helicopters and also thought we had a contract with Huntington Beach for helicopter services. Wonder what's up with that? Which brings me to one final observation on the Warrant. In recent months, unlike in previous years, we've seen several entries correcting previous errors. This entry for helicopter service may be a similar situation. This is NOT a place where sloppiness can be tolerated, so it makes me wonder just who's paying attention in the process. Item #5, HERE, is the resolution for the application of $1 million in grant funds to help replace grass with artificial turf on a couple fields at the Jack Hammett Sports Complex. It will still cost the City an additional $3.5 million. Item #7, HERE, contains amendments to the Field Use and Allocation Policy (FUAP) as recommended by the Parks and Recreation Commission at its July meeting. It includes a Field Use Code Of Conduct. FILLING CLAIRE'S VACANCY - TEMPORARILY? Item #8, HERE, is an amendment to the professional services agreement with Management Partners to retain Jay Trevino to temporarily (I think) replace departed Assistant Development Services Director Claire Flynn, who left to join the private sector. This amendment presently has a $200,000 cap on it - but we've all seen how those caps manage to disappear. Item #9, HERE, is a similar situation with Interwest Consulting Group for Building Official services, apparently to fill the hole left by the recent departure of Khanh Nguyen, our Building Official, and other vacancies in that department. This one is for $150,000. You may recall that recently we also saw an approval to spend $900,000 for engineering consulting support. Hmmm, wonder why we can't retain people? Could it be the crappy contract the Miscellaneous employees were forced to swallow? Smart money says it is. Item #10, HERE, is the Biennial Review of City's Conflict Of Interest Code. This one changes - adds and deletes - positions and groups that are subject to the Conflict of Interest Code. Appendix A, HERE, shows those positions/groups. I guess I understand it all with this exception. At the end, under Commissions, it shows only the Parks and Recreation Commission. What about the Planning Commission and Senior Commission? And no mention of the City Council, either. Maybe I'm missing something, but...? Item #12, HERE, is the Annual Review of the Current Housing Element and Final Review of the Previous General Plan. Interesting that they will likely just sign this without comment. 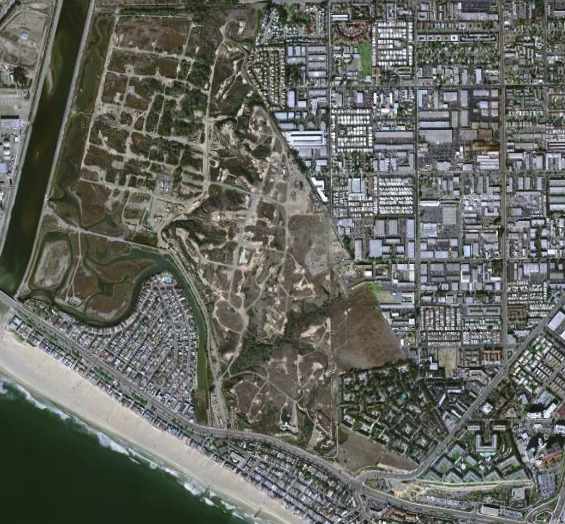 Public Hearing #1, HERE, is the city-initiated amendment to the North Costa Mesa Specific Plan related to the Segerstrom Home Ranch Site, 3350 Avenue of the Arts and Sakioka Lot 2 bringing them into conformance with the recently-approved General Plan. 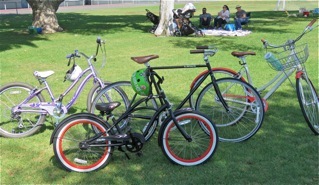 The Planning Commission recently reviewed these items and moved them forward. Public Hearing #2, HERE, is the Fourth Amendment to the development agreement for the Home Ranch. 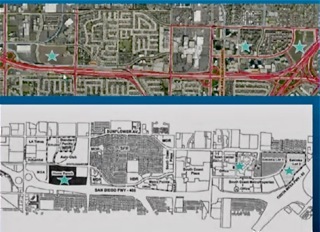 Similarly, this brings this project into conformity with the new General Plan. The final item on the agenda is New Business #1, HERE. this is a fairly routine item, designating a Voting Delegate and Voting Delegate Alternate(s) for the 2016 League of California Cities Annual Conference in Long Beach, October 5-7, 2016. Presently Mayor Steve Mensinger, Mayor Pro Tem Jim Righeimer and Council Member Sandy Genis are registered to attend, so this should be a no-brainer, huh? Not so fast! It seems that the Eastside Costa Mesa Neighbors Group Candidate Forum is scheduled for October 6th. And, if that's not enough fun, I understand there may also be some kind of a fundraiser at Monahan's gin mill on the same evening. This item should be worth waiting for at the tail end of the meeting. We'll be watching and will report on the festivities following the meeting. This one should not take long, but one just never knows these days. 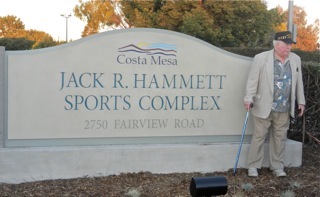 As this Labor Day holiday approached a friend took the time to remind me that Monday is the fifth anniversary of an article written by Tad Friend and published in The New Yorker magazine about the events that happened in Costa Mesa a few months earlier. 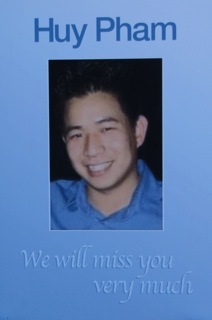 Friend had spent a lot of time in our city in the spring of 2011, following the death of Huy Pham, trying to sort out what happened on St. Patrick's Day of that year. The result was the article which you can read HERE. 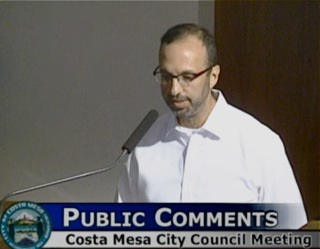 It is with no small bit of irony that in the intervening years since he wrote his piece we've seen Costa Mesa municipal government staffing dwindle by fully one third and those jobs replaced by outsourced companies or contractors. We've seen our public safety organizations intentionally shrunk to unsafe levels. It's not really surprising considering the strong anti-labor bias by the current City Council majority. Their actions over the past five plus years have demonstrated just how deeply they despise labor. As this campaign season heats up it seems like a perfectly appropriate time to revisit this issue as portrayed, not by local activists, but by a skilled writer with no skin in the game. In case you've forgotten what it was like back then, here are some video reminders for you. THE WORST PRESS CONFERENCE EVER!